Over the past several months, my April column, “Irish on Board the Titanic,” brought some interesting feedback. Who in 1912 could have imagined that in 2012 a gentleman in Australia would, after having read my column online on MassLive.com, would have emailed me about a Patrick O’Connor who was lost at sea? Late in April, after publication of the column, I received an envelope which I put in a file folder. The folder went into my briefcase and was forgotten, a definite sign of incipient senility.However, several months later, I opened the briefcase, and the letter fell out. The letter had a much more local origin than my inquiry from Australia. This was from John F. McDowell, from Springfield. He is the great-grandson of John Cotter. 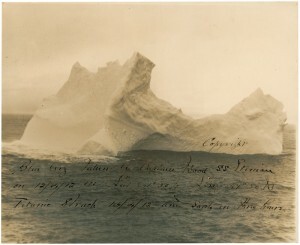 RR Auction will be auctioning the photo and other Titanic memorabilia at a live auction on 16 December. Pre auction bidding begins on 8 Dec with the live auction on 16 Dec. The auction will take place at Crowne-Plaza Hotel in Nashua, NH. Further details are at RR Auction. The world’s most expensive Titanic artefact has gone on public display in a centre dedicated to the doomed liner. The 32ft-long plan of the ship, which was used as a reference guide during the 1912 British inquiry into the sinking, has been passed to Titanic Belfast by a mystery benefactor. The anonymous collector bought the well-preserved paper diagram at auction for £220,000 last year. 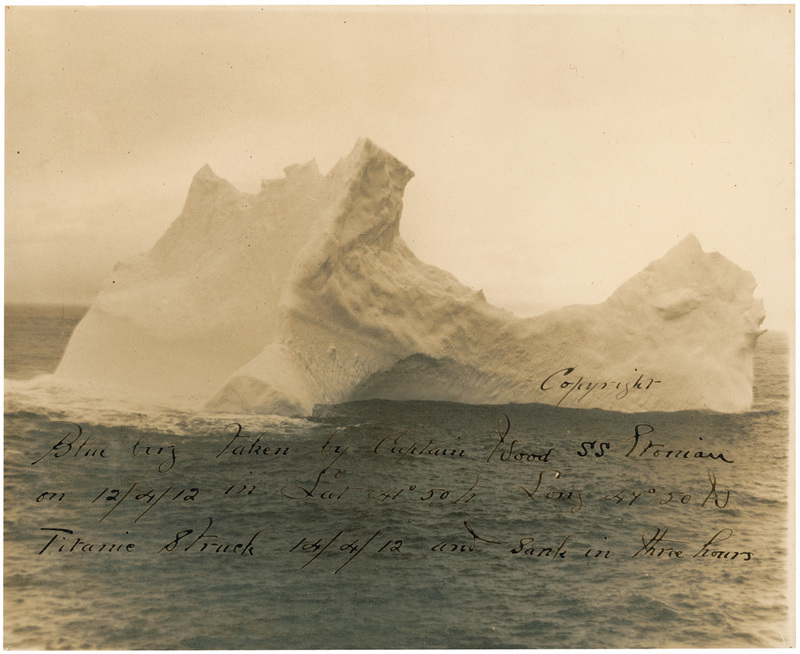 It bears ink marks denoting exactly where engineers giving evidence to the Board of Trade inquiry determined the White Star Line vessel had struck the iceberg on its fateful transatlantic maiden voyage in April 1912. Okay, so I assume you mean these people will be like the unfortunate souls unable to escape Titanic and died. Perhaps there was a better way to say this rather than resorting to a cliche. So Mr. Schrimpf I award you Titanic Cliche of Day, which comes with Fractured Finger Award with the words “I promise not to use Titanic Cliche Again” on imitation brass plate. BBC News is reporting that a First Class Titanic lunch menu sold for £64,000($102,605) and a VIP menu from Titanic’s launch went for £36,000 ($57,714). 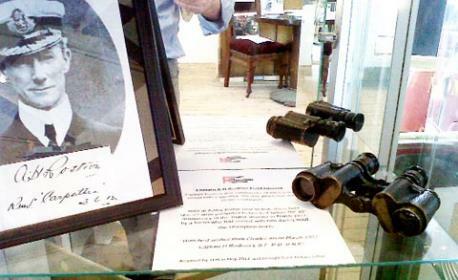 The auction was held by Henry Aldridge and Son on Saturday.